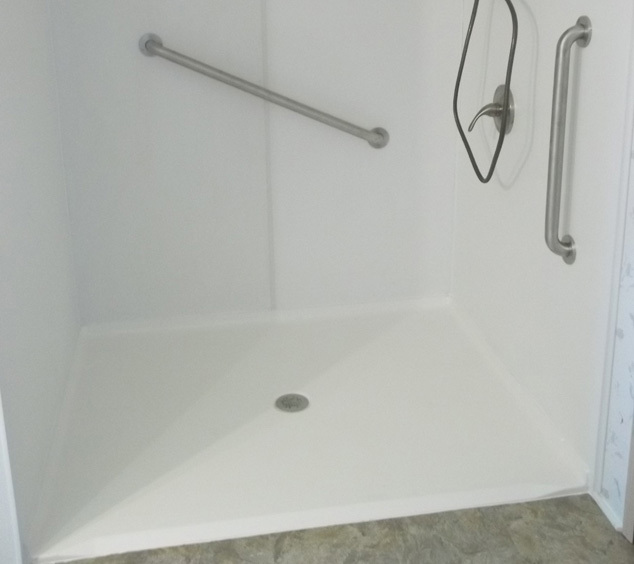 Roll In Showers, Walk In Showers, Accessible Showers, and Low Threshold Showers are describing slightly different shapes, sizes and threshold heights. 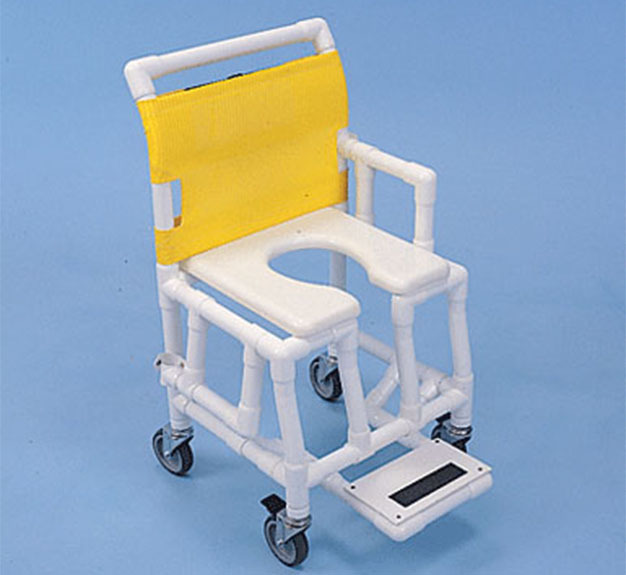 But, they’re all safer and easier to use than a standard tub, garden tub or sunken shower. 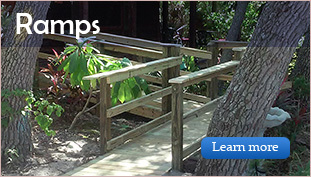 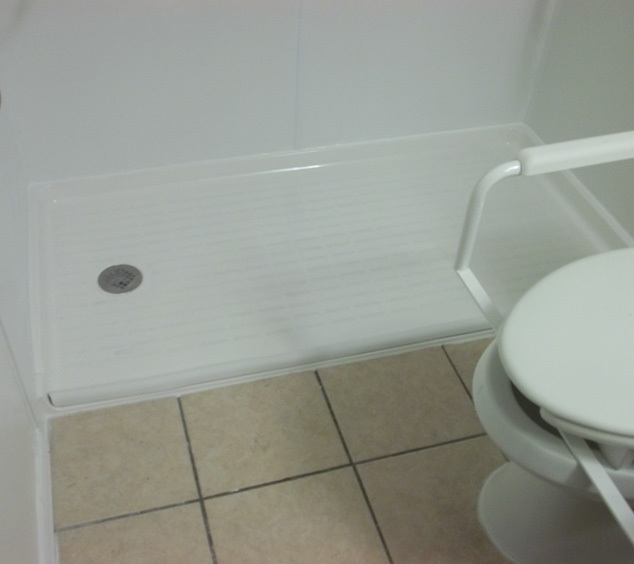 Let us remove your old tub or shower and install an accessible shower pan that is right for you. 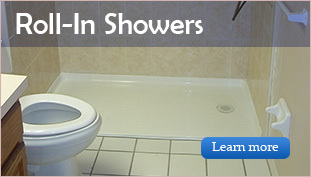 In a few days your bathroom modifications can be completed and your life will be improved. 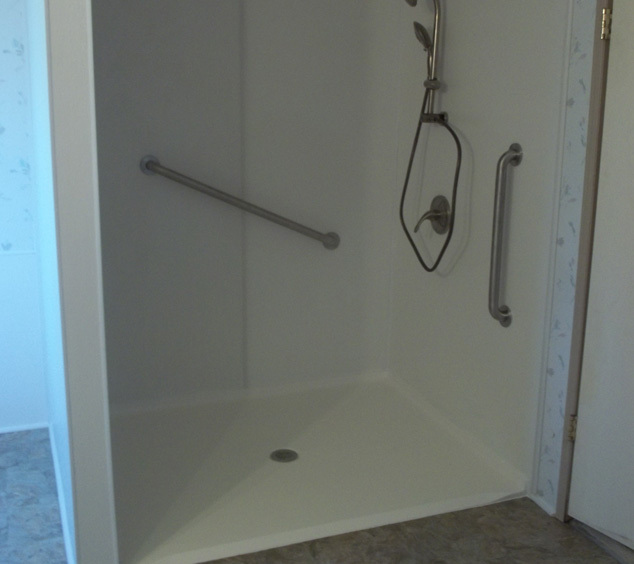 We can easily remove standard tubs, garden tubs, fiber glass units, showers and closets to make room for your new accessible showers. 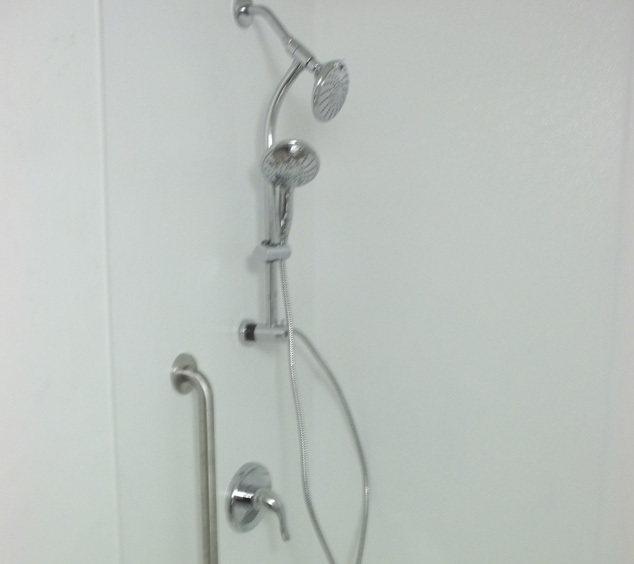 We install these showers in concrete block, wood frame, and manufactured homes. 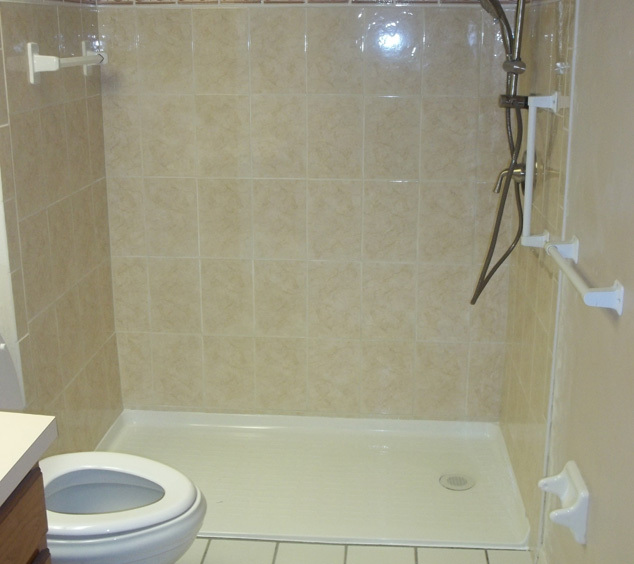 Our modifications in your bathroom can range from elegant to economical. 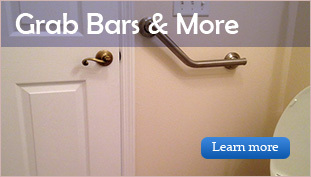 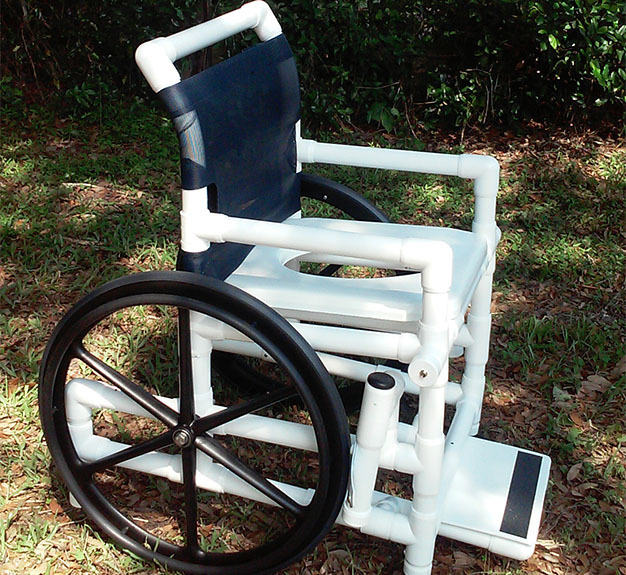 We will help you find and install the most appropriate and desirable grab bars, water fixtures, seats and rolling shower chairs for your new, truly useable shower.